Looks like the smartphone market just got even more interesting. According to the latest figures, it seems that the Android operating system has gained yet another milestone, in which its market share has gained a new eight, whereby more than 56% of smartphones are now powered by the mobile OS. The survey was conducted on 25,500 participants who had purchased a smartphone in the last 3 months. 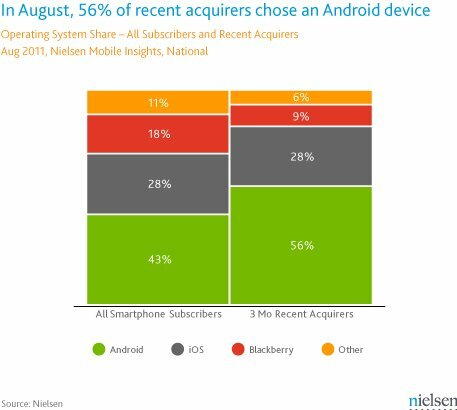 Tailing behind the Android is the infamous Apple iOS with 28% market share, RIM at a meager 9%, and others which refers to the Symbian, Windows Phone 7, MeeGo, and Bada, which jointly shares the measly 6% market share. More interestingly, the smartphone sales are skyrocketing, whereby 58% of consumers purchased smartphones in August, as compared to 43% on the previous year. Online shopping is extremely cost effective when compared to other shopping methods. In fact, online shoppers can simply browse the internet for the best promotional offers for selected products, and make the purchase at the comfort of their home. Surely, if you are an avid online shopper, I would urge you to participate on this particular website called omnea. The respective website is an upcoming web portal that allows consumers to participate, simply by comparing and evaluating top products in the market. 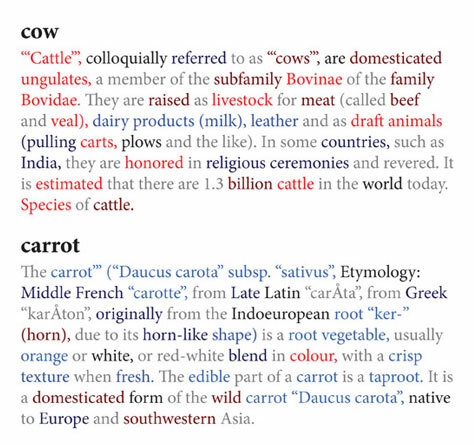 Generally, 4 basic elements would be taken into consideration for every product comparison, namely value, consumer interests, quantity, and social activity. To learn more about this social shopping comparison engine, kindly visit www.omnea.com for more info. Surely, the Frankfurt Motor Show is currently taking place in Germany, and top car companies are already vying the top spot to showcase their latest lineup to the media. And Volvo is just like any other car companies that are currently participating at the Frankfurt Motor Show, and they have showcased their pretty nifty luxury sedan, dubbed as the Concept You. Basically, the Concept You features several revolutionary electronics. First up is that the car’s steering wheel is equipped with a monitor that displays your basic driving information, trajectory, and speed too. There’s also sensor-enhanced panels, which adjust your radio, and cruise control settings too. There’s also the FreshAir subwoofer from Alpine for the car’s infotainment system. Take a closer look at the sweet ride from Volvo – the Concept You luxury sedan. Laptops are getting cheaper every year, and if you are searching for ways to extend the value of your money when purchasing a laptop, perhaps you should seriously consider getting clearance laptops instead. Basically, clearance laptops are fully functional laptops that perform just like any other laptops in the market, except for the fact that these laptops are priced much cheaper as compared to mainstream laptop models. Surely, if you are indeed shopping for the best clearance laptops, perhaps you should take a closer look at some of the laptop offerings by www.thesource.ca. The respective web store sells laptops from several top brands, namely, Acer, ASUS, Compaq, HP, Toshiba, and many more. Based on my observation, you can purchase a basic laptop for a minimal price of $349.96, which is true value for your money. Visit www.thesource.ca and take a closer look at some of the available clearance laptops today! Earlier on, Fisker showcased their revolutionary electric vehicle called the Karma, which totally capture everyone’s attention. 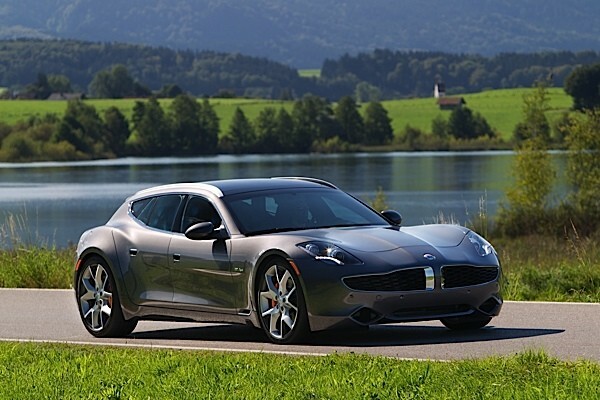 And at the 2011 Frankfurt Motor Show, Fisker did it yet again, and this time, they unveiled a rather sporty 5-door version of the iconic Karma, and they named it the Surf. Basically, the Surf is a plug-in hybrid vehicle, and the EV has enough juice to cover 80 kilometers, purely on electric. And since it’s a hybrid, the Surf is also equipped with an onboard generator, which extends the range of the Surf considerably to 400 kilometers. And according to Fisker’s spokesperson, it seems that the Fisker Surf might go into full production, sometime in mid-2012. Also, Fisker has partnered with BMW, in which BMW will supply a 2.0 liter engine that will come along with the rid – sweet isn’t it? To my knowledge, MedicalDeviceDepot.com is one of the largest web-based distributors for medical devices and accessories, which consist of distillers, centrifuges, Doppler, holter systems, thermometers, medical furniture, medical lighting, microscopes, stethoscopes, surgical instruments, and many more. MedicalDeviceDepot.com strives to deliver the best price for their products and services, as they are committed in lowering the overall cost of healthcare for consumers and medical professionals. And best of all, MedicalDeviceDepot.com provides worldwide shipping services, which is ideal for any buyers around the world. Also, MedicalDeviceDepot.com makes it convenient to seek professional help from a product specialist, in which you can chat with a knowledgeable and qualified sales representative through the live chat module. To purchase medical devices, try MedicalDeviceDepot.com. Everyone wants to grab a piece of the tablet PC market share, and ASUS is definitely one of the major players in the respective field. Basically, ASUS has unveiled yet another new variant for their EEE Pad, dubbed as the Asus Eee Pad Slider. Basically, the Asus Eee Pad Slider comes with a nifty 10.1-inch screen. Also, the Asus Eee Pad Slider operates on the Tegra 2 processor, and it is a Honeycomb 3.2 system, which is a big bonus for Android lovers. There’s 1GB of RAM, 5MP rear camera, 1.2MP front camera, mini HDMI-out, and USB 2.0 connectivity. Apparently, the Asus Eee Pad Slider is now available for pre-order on Amazon too, which is perfect for those who can’t wait to get their hands on the tablet PC. And for the price of the machine, you’ll be expecting to pay $479 for the Asus Eee Pad Slider. It’s an undeniable fact that diamonds are indeed a girl’s best friend. And based on my personal experience, I can testify that diamonds are the perfect gift for any occasions. For instance, I recently presented a heart-shaped diamond solitaire ring as a wedding anniversary gift to my wife, and she was simply ecstatic when receiving the diamond ring. Surely, if you are shopping around for beautiful diamond rings, perhaps you should try shopping at www.reeds.com. The web-based diamond jewelry store sells a huge collection of jewelry, which consists of rings, bracelets, necklaces, diamond jewelry, charms, gemstone jewelry, pearl jewelry, and many more. Also, if you are searching for jewelry that is rather affordable and won’t put a dent on your budget, www.reeds.com got you covered - Just visit their clearance section, and you’ll find plenty of beautiful jewelry being sold at a huge discounted price. Although machines that can read your thoughts and mind is still sci-fi technology, researchers are inching closing in realizing such technology, and Princeton neuroscientists have yet again gain another crucial step in realizing their goals. In fact, the Princeton team lead, Prof. Matthew Botvinick, has mentioned that the group has created a device that can read your brain activity, and translate it into words and subjects. Basically, the process involves mapping highlighted areas on your brain activity, and matching it up with subjects, and the computer will generate semantic threads based on emotions, socially oriented thoughts, and plans. Of course, such technology is definitely the stepping stone in a mind-reading machine, don’t you think so? There are many ways to say thank you to a person. For instance, we can always convey a simple thank you to the respective person, or present a thank you gift, and my personal favorite is definitely sending out thank you cards. To tell you the truth, my company always sends thank you cards to their clients on every festive occasion, in which the message conveys their appreciation towards their loyalty in using their services. And quite frankly speaking, it isn’t expensive to print a stack of thank you cards, whereby you can purchase simple yet beautiful watermark cards for as low as $0.50 per piece. And if you are searching for a convenient way to get your thank you cards printed, perhaps you should try www.invitationbox.com. The online printer offers invitation card printing services, and they cater various designs too, which is perfect for birthdays, graduations, weddings, and many more. To view some of these invitation cards, visit www.invitationbox.com for more info. For those who are searching for a laptop that features extended gaming performances, while have a retail price that won’t cause a hole in your wallet, should definitely take a closer look at the ASUS G74SX-A1 gaming laptop. 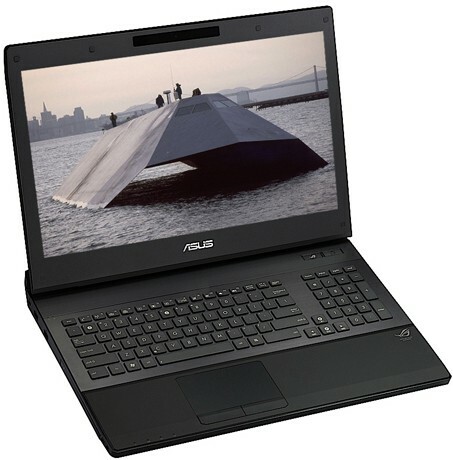 In fact, the ASUS G74SX-A1 was inspired by the 1982 Lockheed Sea Shadow, whereby the exterior of the laptop features a rather black and sleek design, which resembles the Sea Shadow skin. On the other hand, the ASUS G74SX-A1 is powered by the Core i7-2360QM CPU, and the GeForce GTX 560M handles the graphics demands. The respective laptop also comes with a generous 12GB of DDR-1333 RAM too, and its performances will surpass your expectations. Also, the ASUS G74SX-A1 has an extremely large 17.3-inch Full HD display too, which is large enough to meet your gaming needs. And with a price tag of $1749, I think that respective gaming laptop isn’t too shabby indeed. Flowers are perfect for various occasions, such as weddings, anniversaries, birthdays, and it is also the perfect thank you gift too. Personally, I love roses, as I find these flowers to be extremely beautiful, which simply lightens up my day. Surely, I don’t have the time to run to the nearest florist to get my regular flower supplies, and this is where I get flowers cheap at Proflowers. Amazingly, we can purchase almost anything off the internet, and when it comes to flowers, I can always pick the perfect bunch at the comfort of my home or office. Furthermore, buying flowers online isn’t expensive, as web-based florists offer competitive pricing for their flowers. Thus, if you are celebrating your anniversary, or perhaps your spouse’s birthday, perhaps you should pre-order your flowers through a web-based florist instead?